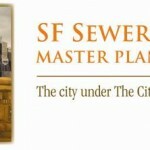 The San Francisco Public Utilities Commission manages the City’s combined sewer system to protect public health, provide reliable wastewater collection and treatment and a clean environment and neighborhoods. A combined sewer system collects and treats stormwater and street runoff in addition to wastewater from toilets, sinks, and utilities in homes and businesses. The Southeast Water Pollution Control Plant is one of two wastewater treatment plants that operate every day of the year, treating up to 85 million gallons per day (mgd) of wastewater, with a third treatment plant placed in service as during rainstorms. 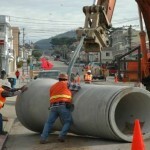 The Commission recently developed its 30-year wastewater master plan. 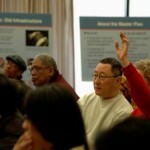 Circlepoint managed the outreach efforts and public participation program as the Commission developed its plan. The public participation program involved extensive citywide outreach to raise broad awareness of the wastewater system and system-wide issues, including aging infrastructure, flooding, odors, combined sewer overflows, and limited biosolids disposal options. Many stakeholders expressed strong interest in exploring opportunities for low impact development as part of the master plan. Circlepoint prepared a public participation plan; completed citywide public opinion surveys and focus groups; developed a program identity and key messages; prepared and distributed numerous informational; organized and documented public workshops; and supported numerous community group, citizens advisory group and other briefings.